There are various ways in which you can make a appointment at The Riverside Natural Health Centre: You can make a appointment over the telephone, by email or you can visit us in person. Will I be able to bring someone with me? Of course. We know that sometimes it can feel a little scary when it’s your first time, especially if your coming along to receive counselling, so we encourage you to bring someone with you who will be able to offer you moral support and comfort. Are the practitioners and therapists regulated? Yes all practitioners and therapists who practice at The Riverside Natural Health Centre are regulated by a complementary health regulatory body. Are the practitioners and therapists trained & qualified? The training and qualifications are of a high standard and all practitioners and therapists update their training on a regular basis so as to ensure a high quality of care for you as our client. What experience do your therapists have? Some practitioners and therapists will have more experience than others. This does not mean that one therapist who has less experience is less likely to give you a high level of therapy. There are different kinds of experience and this would depend on your point of view. A therapist who is newly trained will have been taught up to date methods but may not have as much experience with working with members of the public whereas, a long time therapist would have a greater knowledge and understanding. Are your practitioners & therapists insured? Yes indeed, any therapist that is providing a public service without current insurance should not be practicing. At the Riverside Natural Health Centre, we ensure all therapists provide a current insurance certificate which is monitored very closely. This would depend on a number of varying factors such as: the nature of the issue, how long it has been present, your medical history and how you respond to the therapy. As a general guideline six sessions of therapy is a good indicator of measurement to see if the therapy is working for you. What happens next if the treatment is not working? If you feel that the therapy is not working for you, you should feel comfortable to ask your therapist why this might be so. He/she will be able to provide some reasons and may indicate that more sessions will be needed or give advice on other therapies that you could try. The therapist may ask if he/she can refer you to another colleague and so set up an initial appointment for you to see them to discuss the options for the use of their particular therapy. They may also refer you back to your GP for further discussion. What to expect after a treatment? Sometimes after a treatment you can feel different. Some people may experience tingling, tiredness, energized, calm, relaxed and sometimes a little dizzy. We’re all different and therefore we all respond to treatments in different ways. 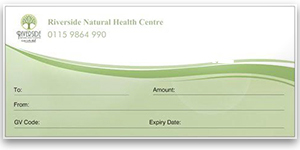 At no point should you be left wondering about your treatment and the staff and therapists at the Riverside Natural Health Centre pride themselves on providing excellent customer service and therefore will answer any of your concerns and questions so as to give you the best therapy experience. You can also contact the centre and we’ll put you in touch with your therapist so that she/he can reassure you. Is there anything I need to do before treatment? Ask as many questions as you feel necessary when you make contact with the Centre. The staff will talk you through anything you’re unsure about and when you arrive for your appointment you will be looked after every step of your journey. We do ask customers to ensure that they wear the appropriate under garments when they are receiving hands on treatment, such as a massage, even though you will be covered with a towel to preserve your dignity. If I am unhappy with something? 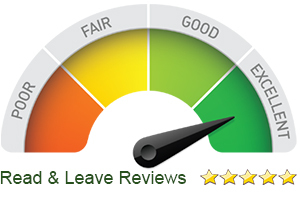 We hope that this will not be the case as we set a high standard of ourselves to provide you with an excellent customer service. You should feel rest assured that your concern will be addressed and handled discreetly to ensure a positive outcome for you. 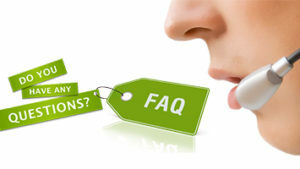 These are our latest list of the most frequently asked questions.